The latest film in the Lost But Not Forgotten series by writer and director Stuart Hackshaw focuses on the story of the St Kildans, who in 1930 were forced to evacuate their remote island home, severing an ancient tie and bringing to an end an incredible story of survival. Go time travelling with an atlas unlike any other. The Hawaiian island of Kauai has been recreated in virtual reality to let intrepid users join a collective search for the ōʻō, an iconic black bird with yellow leg feathers and a beautiful song. Enjoy the experience in all its verdant lushness via The Guardian. There's an Icelandic joke that goes: what do you do if you get lost in a forest in Iceland? The answer: you stand up. The island's famously treeless landscape may soon be set to change, however, if the people at the Icelandic Forestry Service get their way. Watch the video to find out more. 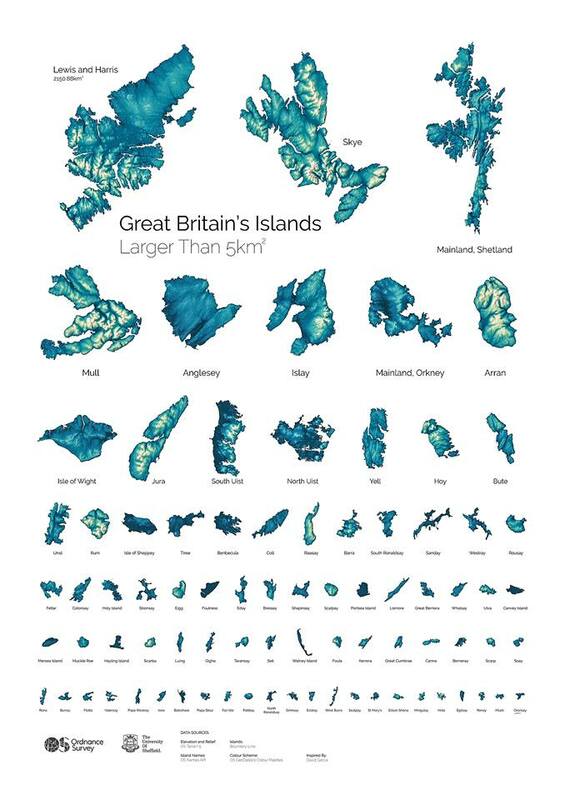 Some brilliant people at Ordinance Survey and the University of Sheffield have created the most wonderful visualisation of Great Britain's 100 largest islands. They've written a blog where you can learn all about it, take part in a fun quiz and find links to the OS Flickr where you can download the map for free to take away and get printed as big as you like. A visitor passed us a link to this wonderful film from 1991 which charts the story of the Creagorry Hotel in Benbecula in the Outer Hebrides. Much more than just a place for tourists to spend a night or two, the Creagorry is revealed as a focal point of island life; a cosy spot to catch up with friends and family, to dance and drink, to flirt and to gossip. Trows, njuggles, selkies, giants and finmen - find out about these strange creatures of northern lore in a fascinating programme by BBC Radio Shetland. 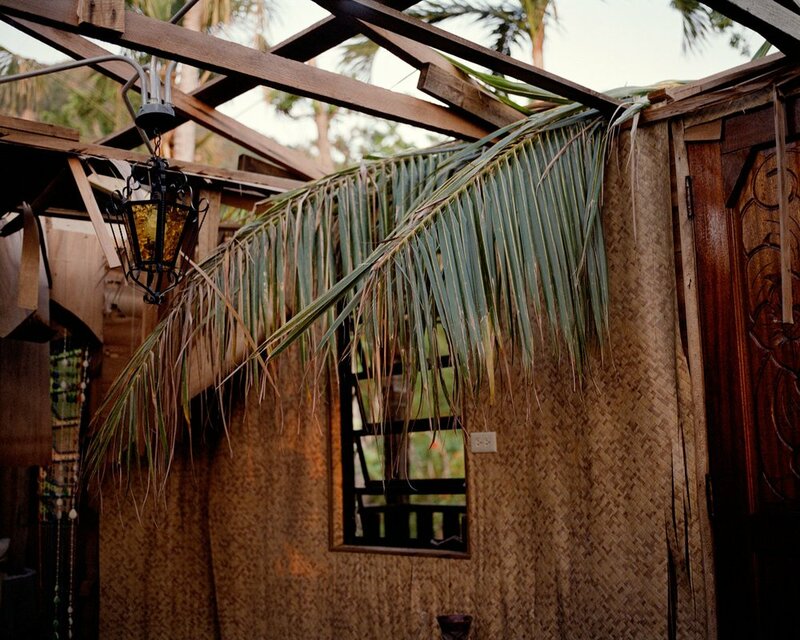 Today's flotsam was highlighted to us by Joanne Coates and it features fellow photographer Rhiannon Adam in conversation with the British Photographic Journal about her Big Fence / Pitcairn Island project. Having travelled to the South Pacific island, famous as the place where many of the Bounty mutineers made landfall, Adam found herself feeling lonely and isolated - an experience that helped her navigate the mindset of the Pitcairners featured in her work.